Following our recommendations on this article will ensure fake locksmiths impersonating the real ones do not scam you. The prevalence of rip-off and fake locksmiths is a problem that has come to stay, and the solution is to understand the right things to do when you have an emergency. For the benefit of a doubt and before we ride on to let you know the few steps to take to prevent being scammed by the fraudulent locksmiths in town, you need to save the customer service numbers of GreenPro Locksmith so you could call us whenever you have an emergency. Yes, this step is vital because the fake locksmiths take advantage of the fact that car owners and homeowners are in their most vulnerable state when they have emergencies. 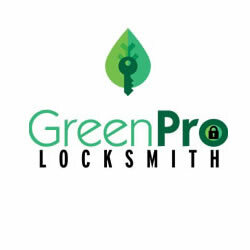 Assuming you saved the contact information of a certified, verified and experienced locksmith from GreenPro Locksmith, you won’t become a victim of lock-out emergencies. The following are the things to do when you are in desperate need of a locksmith. The keywords “local locksmiths in” probably your location will give you many options to choose from, then check the address of the company and look out for their contact number. If they are using any “800” number, its most likely the company is not located in your area and that they are using an offshore call center. Negotiate the price of the job with the customer service attendant or the locksmith that will be sent. Therefore, talking to a person is paramount even in emergency situations. Using offshore call-centers, answering machines and software are pointers to the fact that the locksmith is not real and probably may be a scammer. The negligence of important information is one of the reasons people are being ripped off by fake locksmiths. It is understandable that you are in an emergency or probably in a desperate situation, but it is essential that you ask the locksmith about his license and identification. Also, it is important that you know it’s only fourteen states that require locksmiths license which they must have during every service call. The fourteen states are. Connecticut, Illinois, California, Alabama, Nevada, Louisiana, Nebraska, North Carolina, New Jersey, Oregon, Virginia, Oklahoma, Texas, and Tennessee. Though it may sound ridiculous, you need to check if the locksmith's van is marked with the companies name. Locksmiths with unmarked cars or vans are mostly not real. There is a higher tendency that you may be scammed if you work with such locksmiths. You need to be very careful. Low prices are always the ‘hook’, and you should beware of that. Fraudulent locksmiths attract their victims by providing very low quotes and so many homeowners, and car owners get attracted to that. Knowing the average price of locksmith charges will help you identify the fake ones that may use low rates to hook you up. To avoid this, you need to stick to our first recommendation – negotiating the price before the locksmith is sent to your location. Additionally, you need to make sure that the written estimate is in the companies letter headed paper and that you get a receipt after payment. Following our recommendations on this article will ensure fake locksmiths impersonating the real ones do not scam you. However, to be on a safe side, it is advisable to log the details of GreenPro Locksmith customer service numbers into your cellphone to be used in case of emergency. If upgrading the security of the cabinet and entire office wasn’t a major part of your plans in the first quarter of 2018. Then, going forward, it should be part of the strategy to ensure your business enjoys profitability throughout the year. We have all forgotten the whereabouts of our keys at one time or the other, and many of us do face regular lockout because we frequently misplace our home or office keys. Lost keys account for most of the locksmith services rendered by quality technicians, and for this reason, you need to learn about some practical ways to prevent losing your keys. Homeowners may become confused when it comes to Rekeying or replacing locks. It is important to weigh the pros and cons of each type of service before making a final choice. GreenPro Locksmith offers a reliable and cost effect rekeying and lock replacement services with 100% guaranty.